The Collaborative helped Cook-Wissahickon School to think big about transforming its schoolyard, even if implemen­tation started out small. 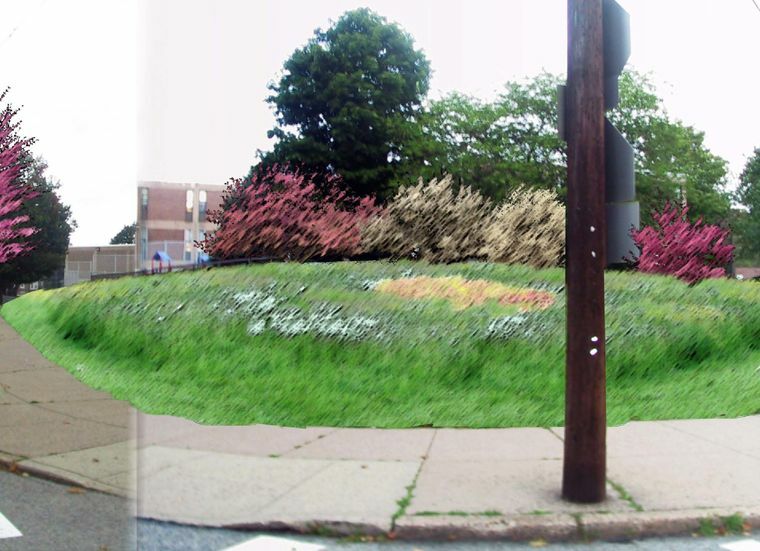 The group focused on a core element of the conceptual plan—turning a standard lawn into a living, breathing meadow full of pos­sibilities for learning. 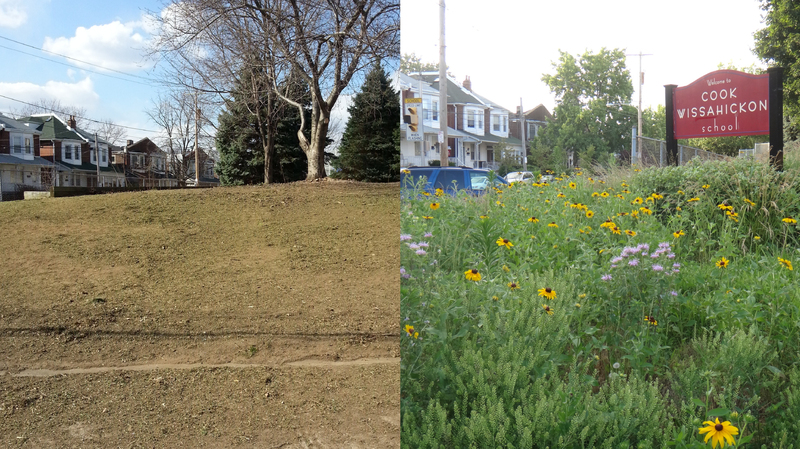 Bringing neighbors on board: Initially some neighbors were skeptical—seeing the meadow as an eyesore or a haven for rats. But community meetings transformed a potentially divisive issue. Some of these same neighbors are now advocates. 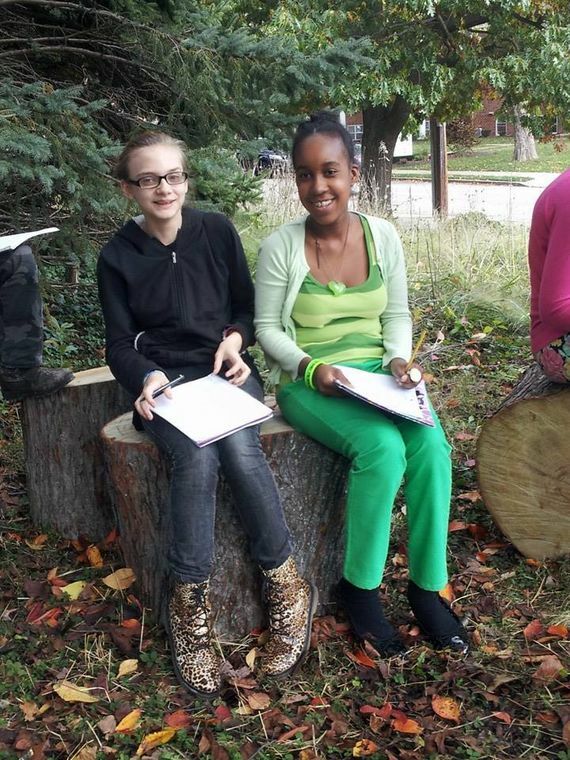 The Collaborative’s partner in this effort was the Wissahickon Sustainability Council (WSC)—a green committee of the Home and School Association comprised of families, teachers, and neighbors committed a broader vision for greening. 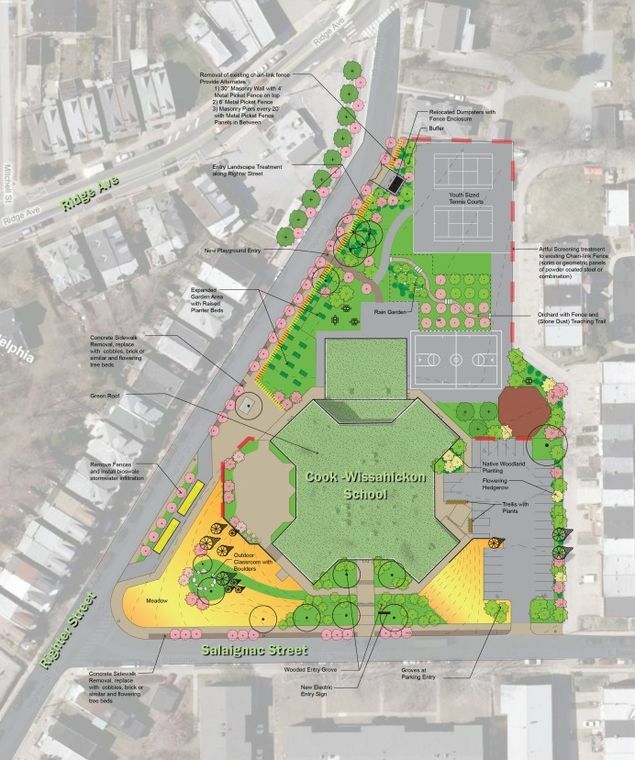 The master plan that emerged from the conceptual design process empowered WSC to secure several partners for the meadow project, including the Philadelphia Water Department, the Schuylkill Center for Environmental Education, and the Schuylkill River Restoration Fund, which provided a grant and matching funds in 2012. The conceptual plan for this unique site became the catalyst for a wider greening movement at the school—beyond the yard to the building and the curriculum. The group has continued to make headway on a series of smaller projects, such as planting beds, a tree nursery, and a magnolia grove. A broader blueprint: The Collaborative’s conceptual plan is helping the WSC take its schoolyard transformation step by step. Yellow areas indicate the meadow (now completed); the circles indicate trees and shrubs. Welcoming in eco-diversity: The conceptual planning process at Cook revealed the opportunity to bring eco-diversity to a prominent corner of the school site, as can be seen in the rendering done by Collaborative volunteers. Teeming with life: The meadow creates a biodiverse habitat where students can learn year-round from a range of native plants and flowers.